Since joining Standard Pacific in 1981, Mr. Scarborough has led the company’s homebuilding activities in Orange County and the Inland Empire. In 1996, he became President of the corporation, with responsibility for its operating divisions in California and Texas and, more recently, in Phoenix, Arizona. 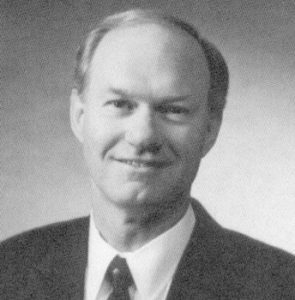 In January 2000, Scarborough assumed the position of Chief Executive Officer for the corporation, in addition to his responsibilities as President. ​In Scarborough’s opinion, the outlook for the homebuilding industry is positive, given the strength and diversity of California’s economy which drives consistently high levels of job formation, and the entrepreneurial leadership, vision and creativity of the industry’s professionals. While escalating costs will remain an industry-wide challenge, Scarborough sees many opportunities to fill the growing need for housing in the state, such as refining our approach to higher density housing and reclaiming passed-over locations and non-residential properties for much needed housing closer to our cities’ urban cores. “Just when you think that housing and development opportunities have been depleted, new opportunities evolve and become economically viable,” Scarborough says.